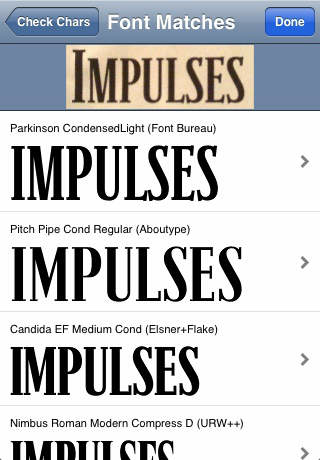 app.itize.us - What The Font? a very useful designer utility to capture a snap of type in the real world for reference and research. quite simple to use but a tad slow depending on network speeds, it is uploading/downloading multiple fonts for comparison after all.